The European honey bee (Apis mellifera) plays a major role in pollination and food production, but is under threat from emerging pathogens and agro-environmental insults. As with other organisms, honey bee health is a complex product of environment, host genetics and associated microbes (commensal, opportunistic and pathogenic). Improved understanding of bee genetics and their molecular ecology can help manage modern challenges to bee health and production. Sampling bee and cobiont genomes, we characterised the metagenome of 19 honey bee colonies across Britain. Low heterozygosity was observed in bees from many Scottish colonies, sharing high similarity to the native dark bee, A. mellifera mellifera. Apiaries exhibited high diversity in the composition and relative abundance of individual microbiome taxa. Most non-bee sequences derived from known honey bee commensal bacteria or known pathogens, e.g. Lotmaria passim (Trypanosomatidae), and Nosema spp. (Microsporidia). However, DNA was also detected from numerous additional bacterial, plant (food source), protozoan and metazoan organisms. This leads to an anecdotal observation that colonies producing high levels of propolis carried lower trypanosome burden. We are currently investigating this potential anti-correlation at our apiary in Edinburgh. ISNAD REGAN, Tim , BARNETT, Mark , FREEMAN, Tom . "An Exploration into the Relationship Between Propolis Production and Trypanosome Burden". 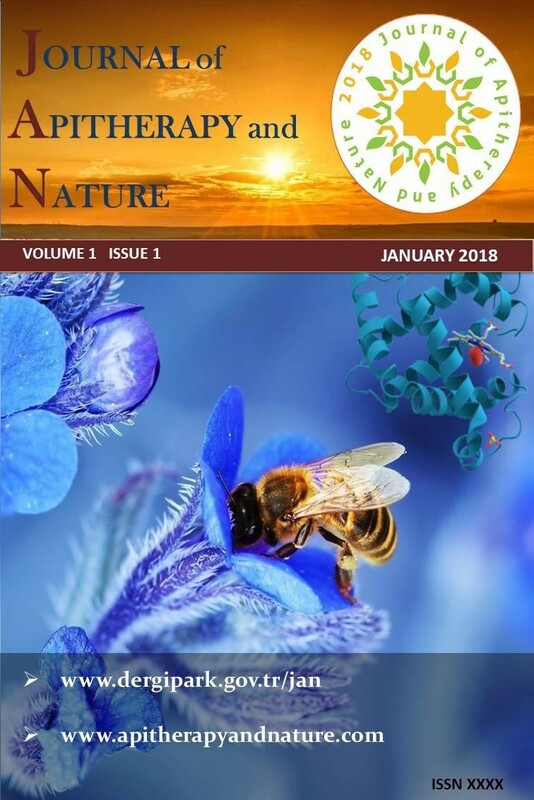 Journal of Apitherapy and Nature 1 / 3 (December 2018): 4-4.